When Lightning McQueen races in the World Grand Prix. Mater tags along and is ready to cheer Lightning on every step of the way. But when Mater meets a mysterious secret agent he ends up at the centre of an international conspiracy! Use your finger to Tap, drag, spin and flick the touch screen to interact with the game and challenge yourself tolearn. 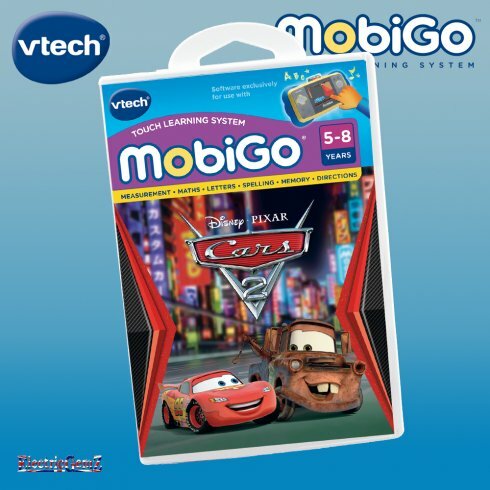 Suitable for ages 5 - 8, the vTech MobiGo Touch Learning System Disney Cars 2 Cartridge teaches measurements, maths, letters, spelling, memory, directions and more. 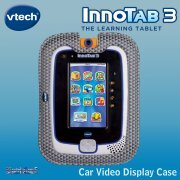 This cartridge is exclusively for use with the vTech MobiGo Touch Learning System (UK specification only), which is sold separately, and is available, together with a range of other Cartridges, from our Shop.